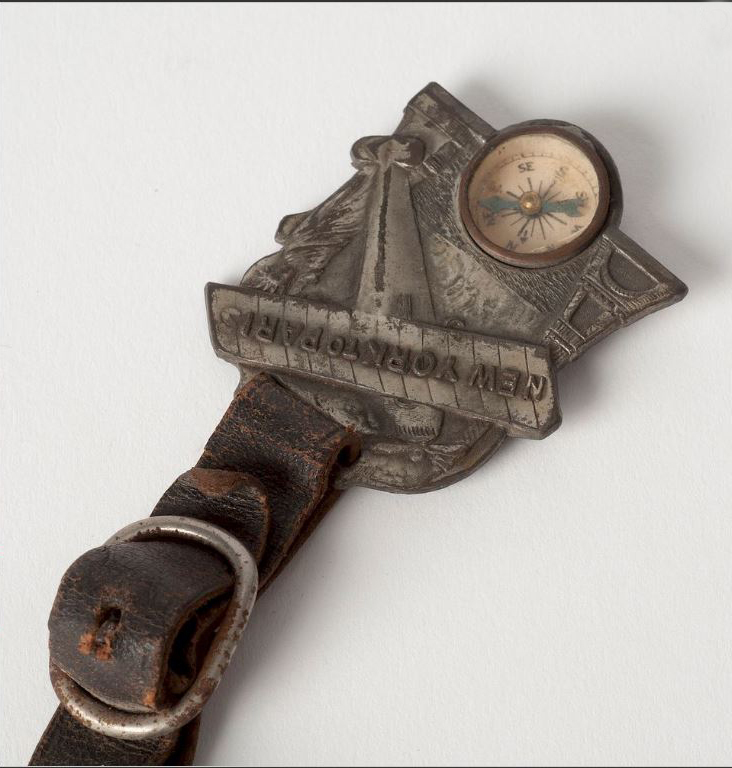 Pocket watch and fob with compass commemorating Lindbergh's 1927 cross-Atlantic flight. 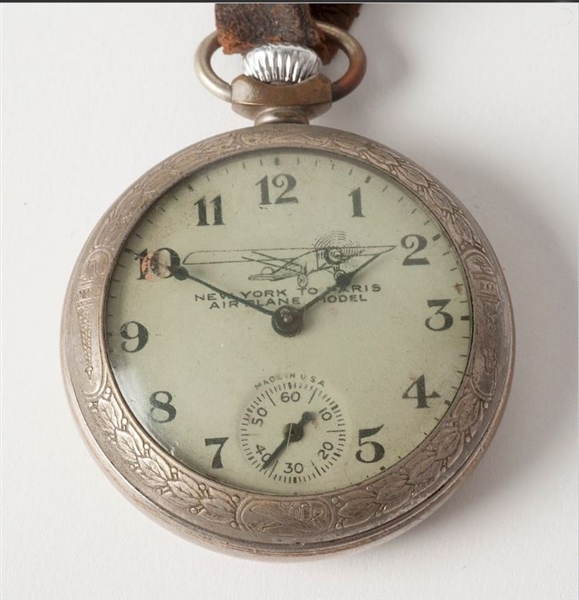 Made by Ingraham Watch Company, Bristol, Connecticut in 1929. 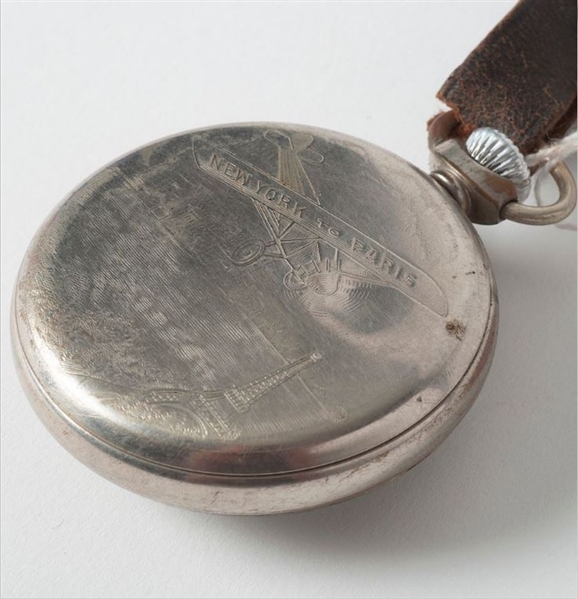 It is engraved on the back with the Spirit of St. Louis and scenes of Paris and New York. The Fob has similar scenes and a working compass.